Is Xbox One Cloud Technology Microsoft’s Secret Weapon in the Console War? Much has been made of the fact that Sony’s PS4 boasts superior hardware than Microsoft’s Xbox One, with games on Sony’s machine consistently running at a higher resolution than on the Xbox One. For instance, the best-selling multiplayer shooter Star Wars: Battlefront runs at 900 p on the PS4, and only at 720 p on the Xbox One, which is quite a difference and one of the reasons why video game fans who have an eye for quality graphics consider the PS4 the better console of the two. But even though the PS4’s sales advantage appears insurmountable, we have stated before that the Xbox One still has a shot at winning the console war. 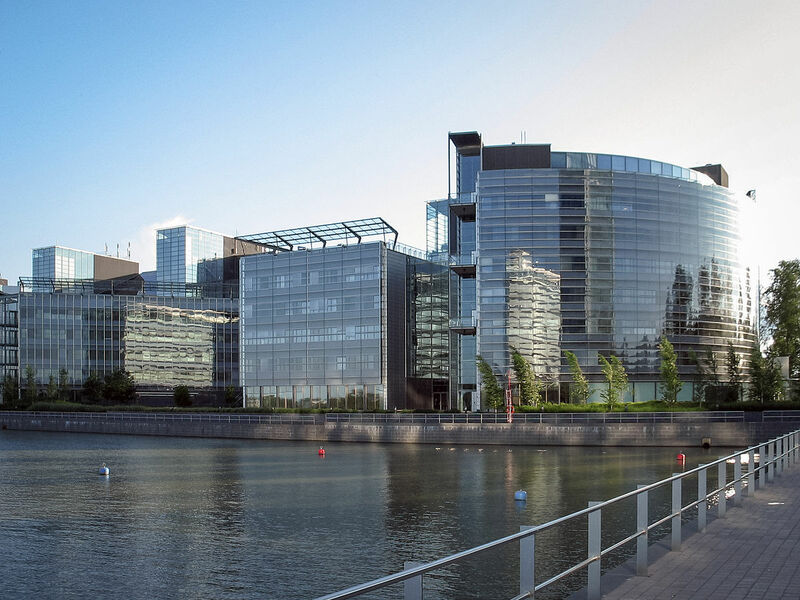 And Microsoft might have a secret weapon to do this, and that’s cloud computing. You see, it is possible for Xbox One games to offload certain computationally intensive tasks to the cloud, a network of remote servers that can process these computing tasks much faster than a single Xbox One console can. And the recent multiplayer action game Titanfall, which was an Xbox exclusive, took advantage of Microsoft’s cloud computing platform (named Azure) to improve the game’s performance. This meant that the game’s Artificial Intelligence (AI) got a boost, with computer-controlled characters behaving more realistically, and also the game’s graphics were more detailed while still running at the healthy resolution of 792p. 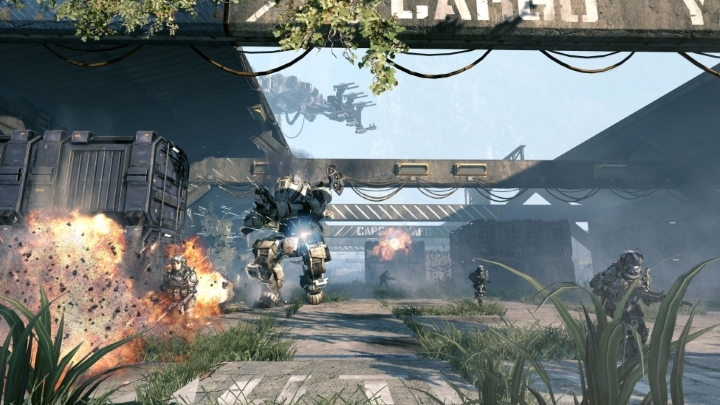 Titanfall was a game that benefitted from Microsoft’s cloud computing services. And now Microsoft’s Xbox Chief Phil Spencer has stated that Azure will be available for all games, even exclusives running on other platforms. But would it make sense for Microsoft’s bitter rival Sony to take advantage of Azure to give PS4 games a boost? It really does not make sense for PS4 games, much less exclusive games, to rely on a third party service that requires a constant Internet connection, much less Microsoft’s, who is the manufacturer of the PS4’s main rival. It does seem like a Trojan horse situation, as Sony’s games would be bound to a service controlled entirely by the Redmond giant. And the issue of requiring a constant Internet connection to play video games is something that gamers have shown a distaste for in the past. A game like Titanfall could get away with it because it was a multiplayer-only title which required an Internet connection anyway, but it is less likely that gamers would accept this “always online” requirement for something like Rise of the Tomb Raider, for instance. And it is not clear whether the upcoming Titanfall 2, which will also be a multiplayer-only title, will use Azure cloud tech as Xbox Chief Phil Spencer said that he could not comment on whether specific third party games would be using the technology when prodded by a fan on Twitter. But still, it is clear that Azure could be that ace up the sleeve that gives the American company an edge in what remains of this console generation. But will game developers be able to do something interesting with the technology, or will cloud support for games fade to obscurity like Microsoft’s own Kinect did? This remains to be seen, although whatever the outcome, hopefully gamers will benefit from the likes of Azure in the end.